When you have a dental problem you want a dentist who will listen. At Bertagnolli Dental you will find a caring staff and experienced doctors who can effectively diagnose and treat whatever is ailing you. If you need a dentist in Westminster call our office today. We take pride in offering personalized attention and a full range of services using state of the art technology and techniques. Some of the services we provide are teeth whitening, veneers, implants, dentures, crowns, general check-ups/teeth cleaning and sedation dentistry. When you need a dentist we make it our goal to provide each patient with the best dental care in a supportive environment. We understand that choosing the right dentist can be difficult. 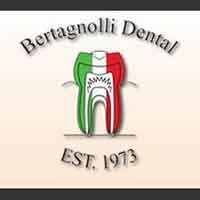 When you need a dentist in Westminster experience modern dentistry has to offer at Bertagnolli Dental. Call to schedule your appointment today.